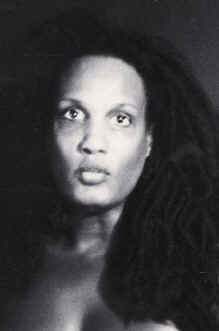 Terrorists in Los Angeles attack novelist Kola Boof! Controversial anti-Arab, anti-Islamic African women's writer KOLA BOOF was attacked by terrorists outside Los Angeles (in Indian Hills) this past Wednesay. Gunmen fired 4 shots! Sudanese-born resident of Leimert Park, Kola Boof, the bestselling author of "Long Train to the Redeeming Sin"...was attacked this past Wednesday night by three Arab-Islamic gunmen outside Los Angeles. Boof has been the recipient of death threats from Muslim fundamentalists for months now, because of her angry, dramatic comments about Sudan's Arab government and the religion Islam. Boof is a member of Sudan's SPLA and is often called, by southern Black slaves in Sudan--"Queen Kola". All information for this story was provided by them.